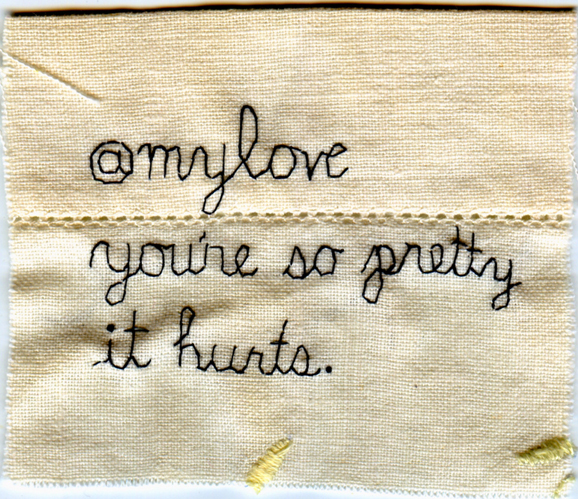 “@mylove.” 2012. Embroidery on fabric. 3.25″ x 3.75″. In a private collection.